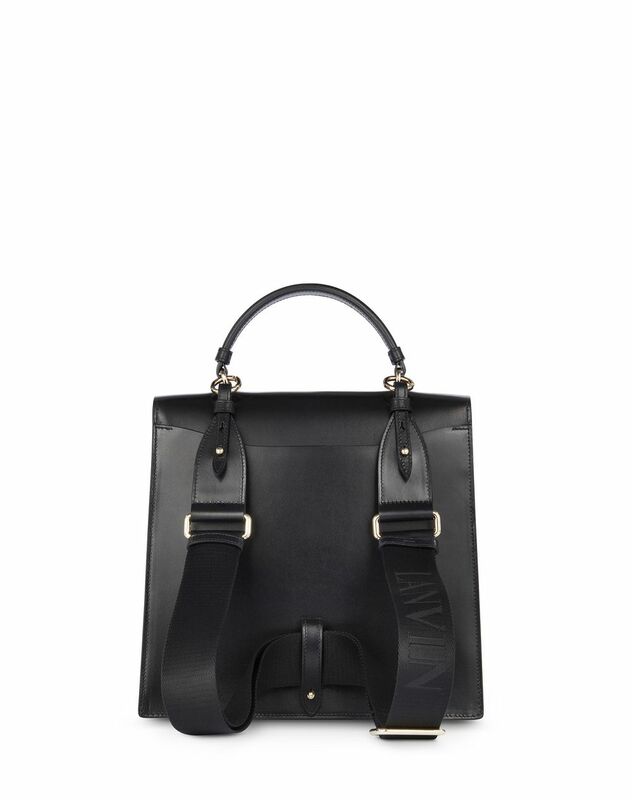 “JL” backpack in black calfskin leather with handle, flap closure with press-stud in the form of Jeanne Lanvin’s “JL” initials, tone-on-tone topstitching, zippered inner storage pocket, black lining, and contrasting adjustable and detachable shoulder strap in tone-on-tone cotton. The shoulder strap transforms into backpack straps, allowing for it to be worn in different styles: in hand, on the shoulder, across the body, or as a backpack. 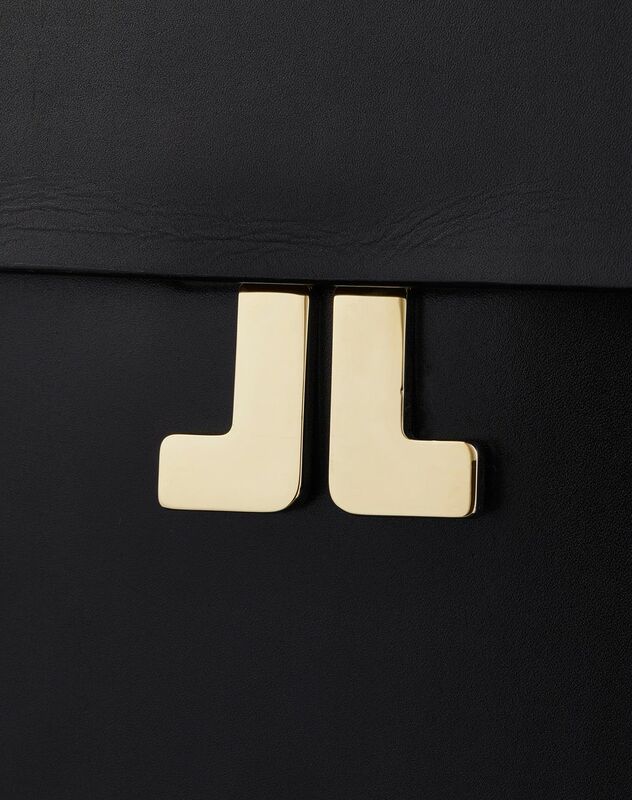 A key piece from the Summer 2018 Collection, the black calfskin leather “JL” bag stands out for its graphic shape and press-stud in the form of Jeanne Lanvin’s initials, which leave the brand’s mark on this model. This backpack combines luxury details and structure with both sportswear and vintage inspiration. 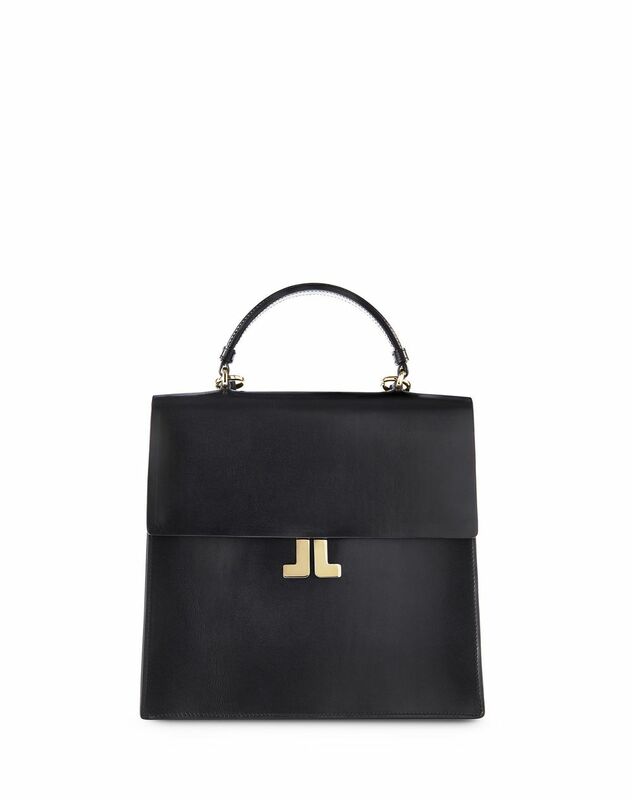 The “JL de Lanvin” bag can be worn in many different styles and provides a fashionable, sophisticated attitude. Main material: 100% calfskin leather. Secondary material: 100% polyester. Lining: 80% viscose weave, 20% nylon weave. Depth: 3.1” Width: 10.2” Height: 9.6” Handle length: 8.3" Handle height: 2.8” Removable shoulder strap length: adjustable from 37.4” to 60.2” Removable shoulder strap height: adjustable from 18.1” to 29.9” Made in Italy.